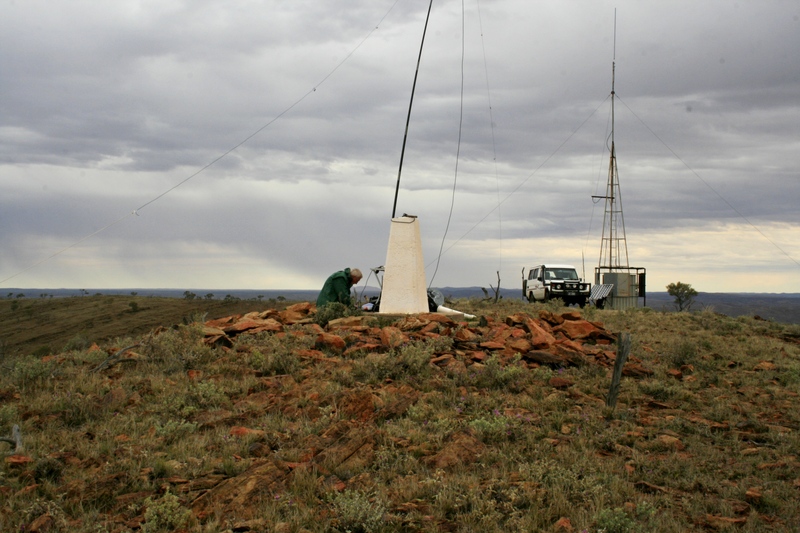 Just on twelve months ago Lindy and I were traveling south on the Willangee road near Eldee Station (north of Silverton and Broken Hill) and I noticed on my Ozi Explorer screen (car navigation) the waypoint for Mt Robe and looked across at the summit thinking that maybe next year I would investigate activating it. I really love this part of the country and I thought I would probably be back out here again in twelve months with perhaps another trip to Milparinka . Skip forward some months and plans were put in place for another attempted trip to Farina in SA via Milparinka, the corner and the Strezlecki Track. The plan was to again volunteer at the visitors centre in Milparinka for a fortnight then head south, call in to Pimpara Lake Station for a few days remote camping and then down to Broken Hill to re-stock and if possible, do the the Mt Robe climb. After that it would be back north again via the Wilangee Road, on to the dog fence and then out through Cameron Corner and over to Farina. So, some weeks ago I began ringing around to try and find out on whose property Mt Robe was on and whether I could gain access. 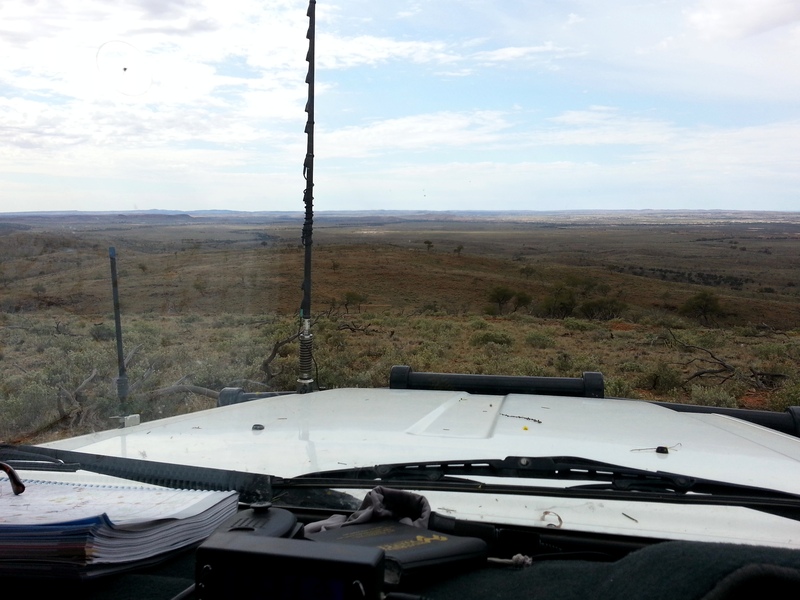 As it is only some 5km east of Eldee station, I started there. Eldee station is a ‘station stay’, in other words, they provide accommodation and recreational access to their station. Quite a lot of properties are now offering accommodation and other services via their Shearer’s quarters or remote camping in their unique and often spectacular countryside to provide tourism services and or supplement their income. And whilst I would put Eldee on the slightly more expensive list, I was prepared to stay there two nights if I was granted permission to climb. After a couple of failed attempts at making contact, I finally managed to speak to the owner by phone only to be told that it was not on their property but that it was on Purnamoota station on the eastern side of the Barrier Range. He was unable to give me a phone number and wasn’t sure of the spelling of the owner’s name and so it was on to whitepages.com trying various spellings until I managed to strike the correct one and Bingo! I now had the name and telephone number for the station. Now I don’t know about you but I am never too sure how much information to give out when describing what I want to do (ie – climb and operate radio from the summit) to the property owners. I usually preface the conversation with something like”Now this is going to sound like a strange request…” and then go on to ask permission to climb and give background as to why. It is always easier when the person has heard of Ham radio but mostly they haven’t and so the explanation becomes somewhat longer. At the end of the discussion I then hold my breath hoping the answer is ‘Yes’ but bracing myself for a ‘No’ as occurred in the case of Mt Shannon last year. This time, luck was with me and I was granted permission subject to there being no sheep mustering occurring in that particular (10000 acre) paddock at that time. Also I was told that I would have to climb on foot as there were no tracks to the top anyway. I was told to ring back closer to the time as this was now about one month out. Mt Robe is the second highest SOTA peak in the Upper Western region of NSW at about 474m and like all the others in this region is only worth one point. The first European to climb and name the peak was Charles Sturt in 1845. I believe he named it in honour of Frederick Robe who was at that stage about to be made the 4th Governor of the colony of South Australia. Sturt’s expedition to find the inland sea also opened up the country all the way up to and beyond Birsdville in far SW Qld. In the 1850’s pastoralists started moving into this country taking up selections and in the late 1800s silver was found in the vicinity of Mt Robe which started a rush and the town of Purnamoota was born. 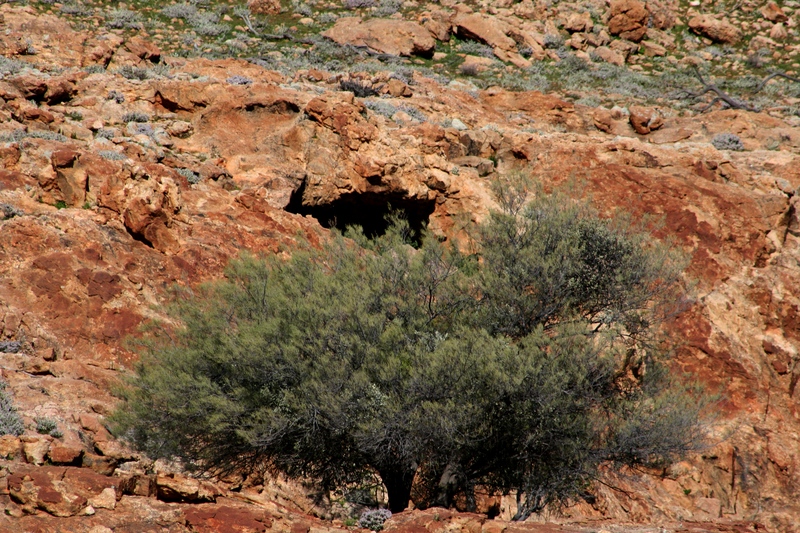 It did not last long as richer fields of silver lead and zinc were found further south in what became known as Broken Hill. 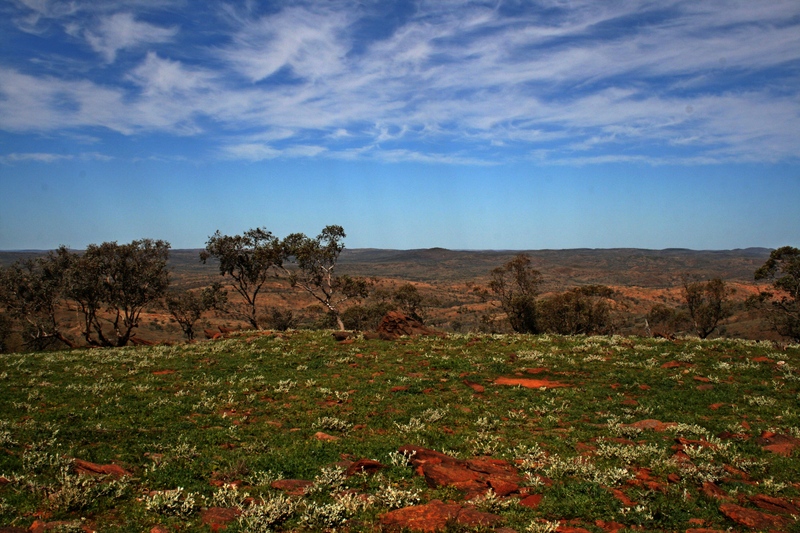 Today Purnamoota is a vast pastoral mainly sheep station of some 130000 acres or about 500 square Km. Little remains of the actual town other than the Assembly Hall built in 1888 (now part of the shearer’s quarters) and the homestead which was also a small stone cottage but now much extended and modernised. The owners told us there are even a small number of graves still visible on the property. 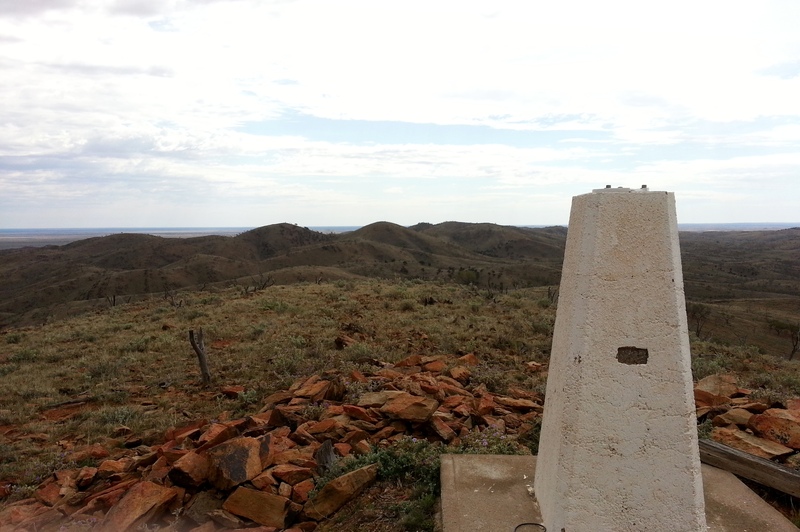 I planned to attempt the Mt Robe trip while we camped at Silverton which is located 22km NW of Broken Hill. Camping at Silverton’s Penrose Park) is a great experience. Penrose Park is 73 acres of reserve on the banks of Umberumberka Creek. The reserve was set aside in 1937 for miner’s families to attend picnic days and general recreation – a sort of getaway from mining life. It was managed by a Trust and further developed over the years. Now there are many powered and non powered camp sites in a semi bush setting along with some cabins as well. There is only one shower block but a number of toilets blocks scattered around the complex. Add to that about six tennis courts, a mini zoo, an old steam train engine plus you can get great meals and coffee at the small manager’s office. 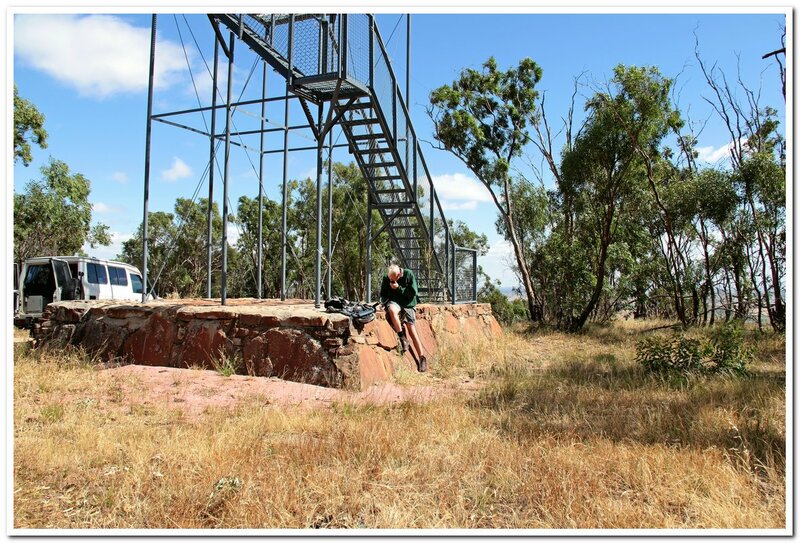 It is just a short walk into Silverton itself via the Umberumberka Creek bed which brings you out at the old Gaol. Well worth a visit as it contains extensive collections of memorabilia from the era. There is even a small display of AR QSL cards and other ham radio memorabilia collected from Amateurs in the area. This is also a good place to start the Silverton Heritage walk – so lots to do and see in Silverton. Did I mention the pub? Good meals and great photo opportunities as this pub has featured in more films and commercials than most of us have had hot dinners. But back to the activation. 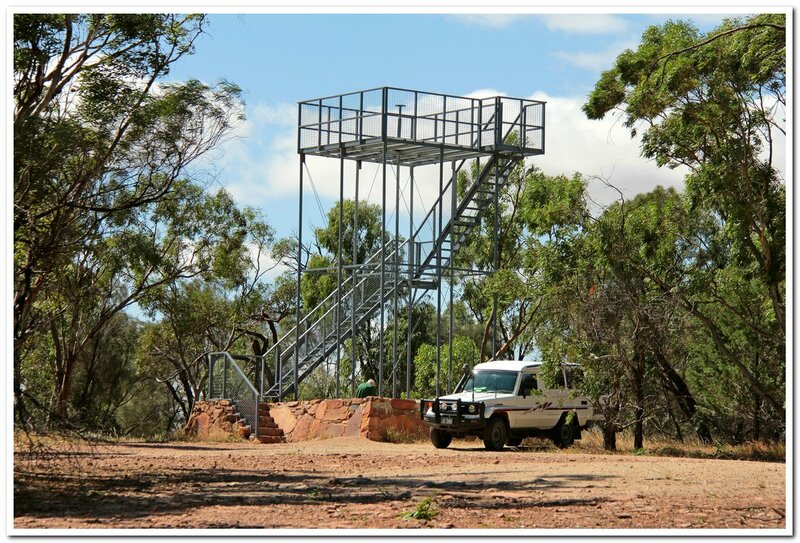 With no phone service at the camping area I headed up to the water tank hill above the hotel and rang Purnamoota Station and was relieved to be granted permission to go the following day. Prior to coming out on this trip I purchased a new phone but soon discovered the GPS was faulty and as I was expecting to be out of phone range for the next few weeks on our travels, I decided to send it back from Broken Hill so it could be repaired and be back home by the time I got home. With no phone I planned to be spotted by radio only but to make sure I also rang Andrew VK2UH who kindly put up an alert up for me plus an email to the SOTA group to ensure that someone might listen out for me. By now Lindy and I had been joined on our outback trip again by friends Neil and Jean a week or so before and Neil had decided to accompany me up the hill which I was very glad of for both the company and the safety aspect. He had wanted to come up North Barrier with me last year but unfortunately staked a tyre at the bottom of the climb and had to retreat so never saw what all this SOTA fuss was about. 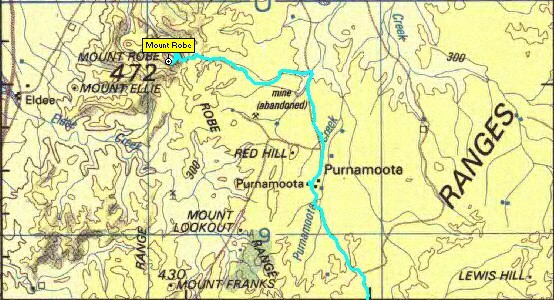 Neil and I set off for Purnamoota station around 9.30am the following Thursday morning and arrived at the station homestead around 10.30am or so. We were greeted at the door by Cynthia who gave us a bit of a run down on the station, the homestead and the history. 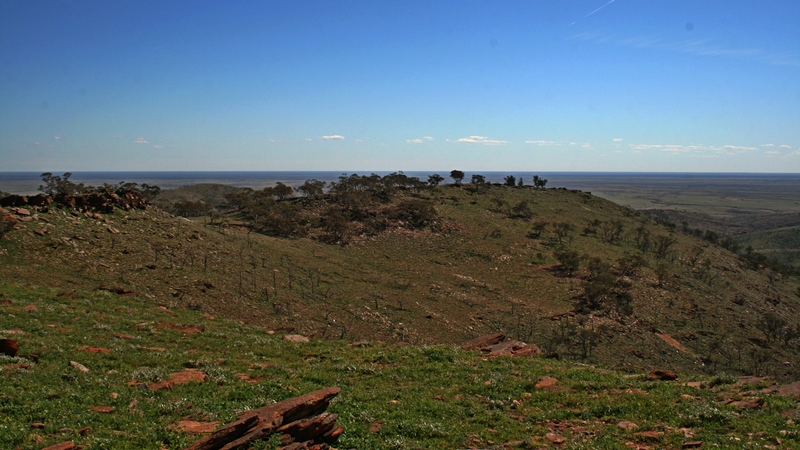 It was quite amazing to realise that a small town had existed here at the end of the nineteenth century and that pre-dated Broken Hill itself and as I mentioned, it is a thriving sheep station. 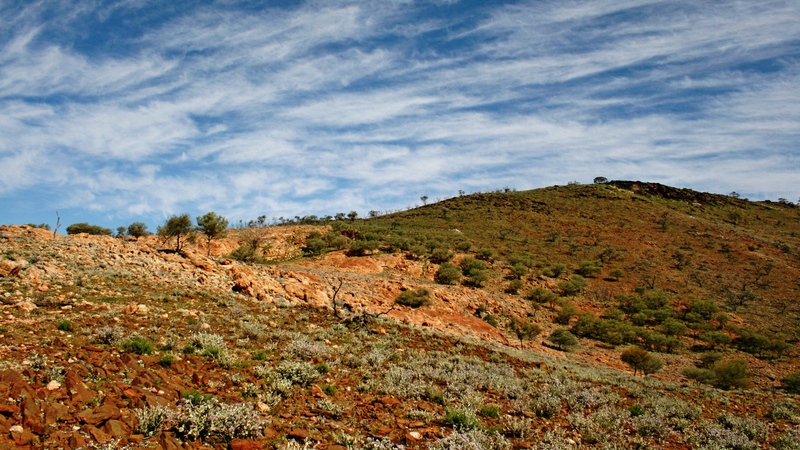 Mount Robe is a further 10km north of the homestead and at the foot of the summit are the stone ruins of a small mining settlement. There were also a number of mine shafts close by and the ground all around was shining with silicate. The area was mostly silver mining and Cynthia told us that in the early days plugs of silver were found lying on the surface. We didn’t see any and I am not sure neither of us would recognise it anyway. and I was starting to think it would be a ‘walk in the park’. I didn’t even pull the Troopy into 4WD until we started to climb a very rocky ridge and where the track now started to fade from little use. 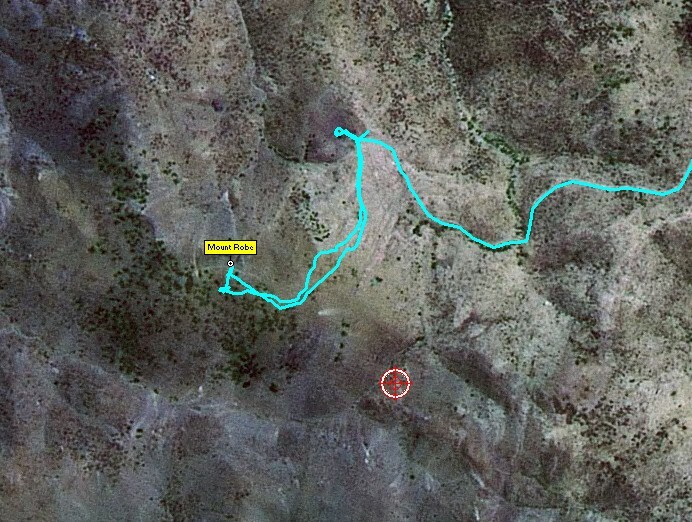 I was soon in low range and just picking my way across the ridge and down through a dry creek bed and up the final climb. Once at the top of the lower ridge, Mt Robe continued to climb away to our left with the trig point no longer in view and a small valley with the ruins just in front of us. We took the view in over morning tea and then, Neil with his small pack and my camera and me with the squid pole and back pack, we set off over very rocky ground for the summit. The weather was beautiful compared to Wagga at this time of year but even at the bottom a stiff breeze was blowing which continued and increased all the way to the top where it became a howling gale. The climb was relatively easy and took around 30 minutes climbing about 160m to the peak of 474m. 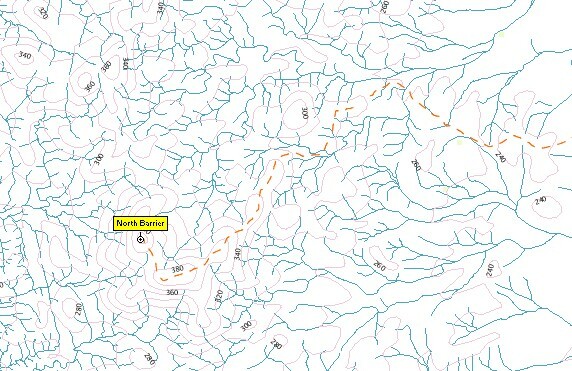 Some weeks before I picked my route by viewing the area from Google Earth (GE) and indeed where we parked it confirmed it to be the best place for the final ascent. In GE I noticed some low scrubby bush dotting the landscape, however these in fact were not scrubby bush as such but small Eucalyptus trees maybe some 3-4 metres in height. Otherwise the ground was covered in grasses about 10cm high and interspersed with desert succulents, wildflowers and lots and lots of stone – most of it full of silicate. It had been a good year out there from about February onward. Cynthia had told us though that the country was very poor prior to that and the stock on the station had been severely impacted. The views from the summit were spectacular. To the west are the Mundi Mundi plains and if you have been across the Hay plains and thought they were vast then they pale into insignificance by comparison. And this is where the wind was rushing in from. I would hate to be there in that wind in the middle of summer! The gale made it impossible to operate from the trig so I selected a bunch of these small eucalypt trees just over the brow of the hill and where the wind wasn’t quite so bad. I lashed the squid pole to a branch and ran out the antenna and was soon up on 7090kHz. 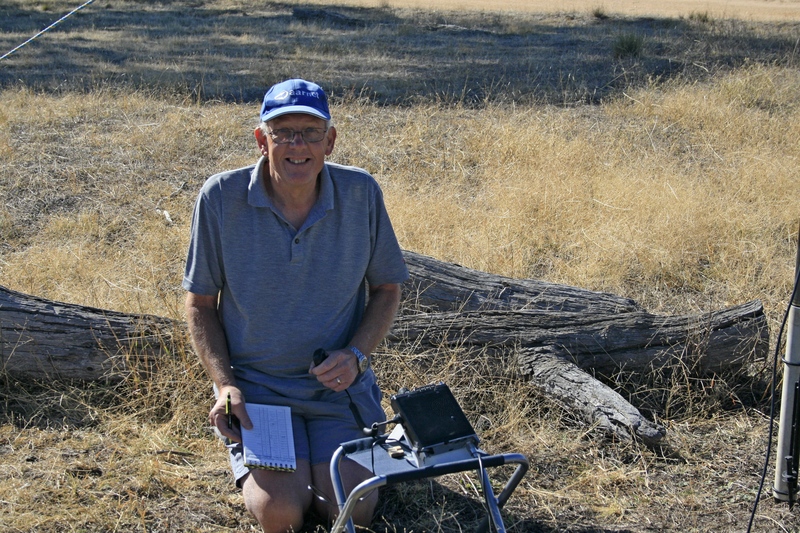 Very pleased to hear Paul VK5PAS who was S9+. I broke in and Paul was first in the log and after swapping signal reports he kindly left me to the frequency. Soon I had 15 contacts with most giving me reasonable signal reports. There were even some calls I didn’t recognise, so that was good; It means we are still attracting chasers to this part of the hobby. I did switch to 20m toward the end of the activation but had no luck and with the wind having already collapsed the squid pole once so violently I thought it was broken I decided to pack up and head down. Once back at the car we decided that we should explore the ruins further down the ridge. We counted at least five or maybe six separate ruins with one or two chimneys still very recognisable. It still amazes me that people lived and worked in this very harsh and unforgiving environment. At least one mine shaft was visible but we didn’t investigate it as there were probably many others we couldn’t see and a fall out here would have been very hard to manage. A few photos more and we set off back to the homestead. The return drive down was unremarkable except for one of the steep down hill bits where the Troopy decided to start sliding sideways. Fortunately we were just crawling along so no damage done – just a tad unnerving. We called in to the homestead and found Cynthia out watering her garden in the hope that it would attract the rain forecast for the following day. She had asked us to call back in so she knew we were safely back. I asked permission to photograph the old Assembly hall on the way out and were told we could so we set off over there to look. These days it is part of the Shearers Quarters. Some more photos and then off back to town. I measured the distance from the homestead to their front gate – a mere 13km. A nice cup of coffee at the Broken Hill Visitors Centre and then back to Silverton. All in all a great activation. The following day was wet and it doesnt take much rain out in this country for the authorities to close the gravel roads and so we stayed now for another day. By that afternoon though the weather improved with the sun out but still very windy. It was enough though to open the roads north. I took the opportunity to explore the old Silverton Gaol. If you decide to go you need to set aside a couple of hours as the displays are very comprehensive. There are eighteen rooms full of displays , many of which concentrate on aspects of life in the area in the late nineteenth century. The following morning (Saturday) we packed up and refuelled in Broken Hill and then headed north up the Willangee road. This gravel road heads out north west across the Mundi Mundi plains and again we passed Mt Robe. It then slowly works its way toward the Corona road. From the Corona road we made our way to Teilta Lake where we planned to camp overnight. Last year we stayed here for five days following rain and where the roads were again all closed. 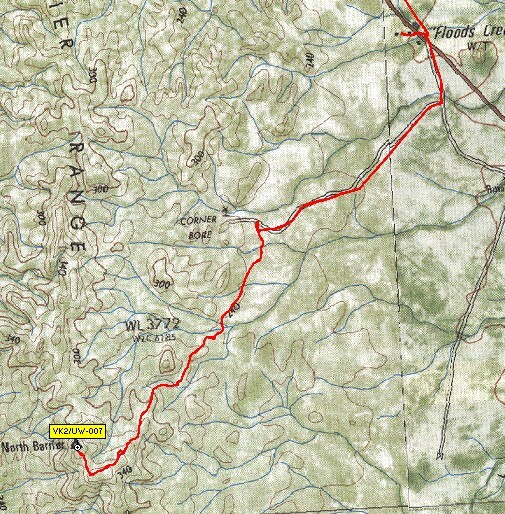 This stay put paid to our aim of heading to Cameron Corner and then around to Farina via the Strezlecki track. From here we made our way up past the dog fence and on to Theldarpa station. We were all very optimistic we wouldn’t be stopped by rain again. But alas, it wasn’t to be and over the next few days we ended up again back in Silverton but at least not rained in up north. We left for Wagga the following day. Neil and Jean continued on for another few weeks. So, what is next up that way? 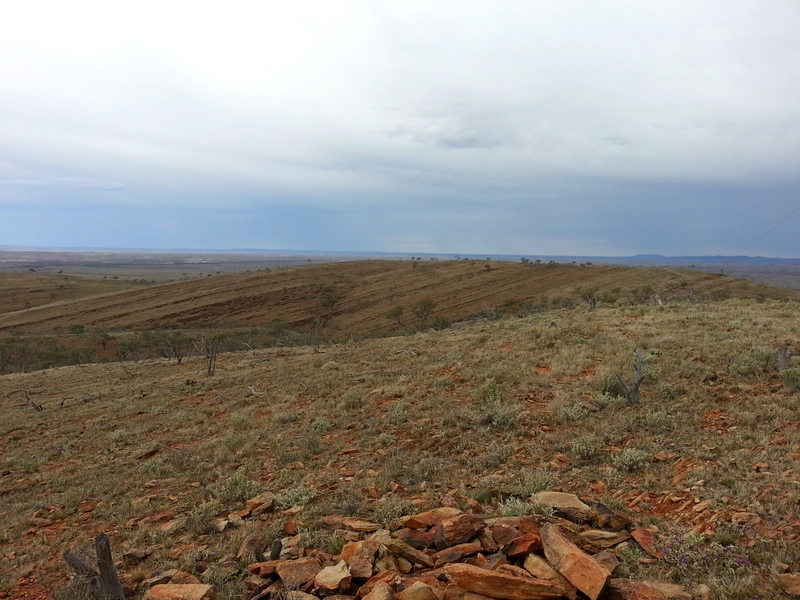 I have my eye on Mt Gundabooka which is just south of Bourke and is the highest summit in the Upper Western. 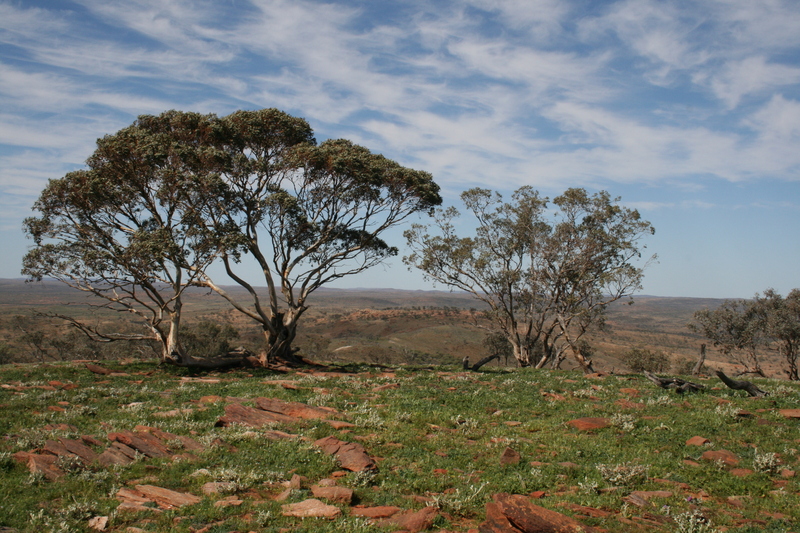 Also in my sites is Mt Koonenberry which is north west of Broken Hill. So, let’s see what happens in the next few months. Many thanks to Andrew VK2UH/1DA for putting up my alert and for those who spotted me and also managed to work me. This entry was posted in Uncategorized on September 16, 2016 by vk2yw. 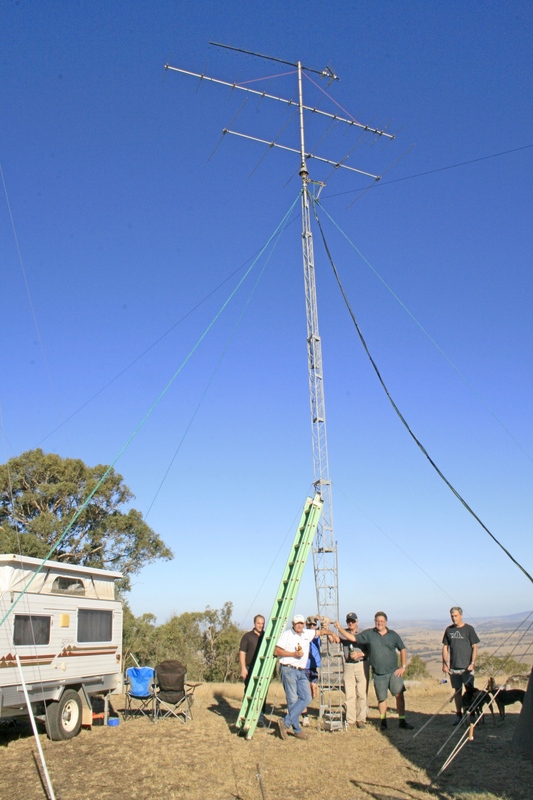 Some of you will be aware that Wagga Amateur Radio Club operates a system of linked VHF repeaters that cover the majority of the Riverina. Co-incidentally, three of the sites are also SOTA (Summits on the Air) designated summits. Being part of the Repeater Management team today, was the first opportunity I had to take a run to Galore Hill as its VHF repeater had stopped working some days ago. My plan was to either fix the repeater or return it to town for repairs and activate the summit time permitting when completed. I put an alert up on SOTAwatch expecting to be on air around 11am (0100UTC). 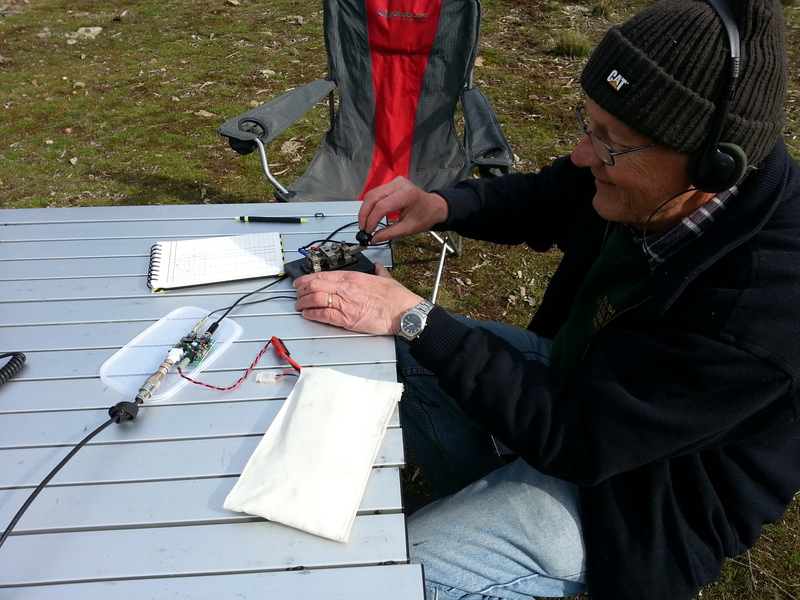 Alan VK2KAW accompanied me and we set off first thing this morning and arrived onsite at around 9.30am local or 2330 UTC. We very quickly established that there was no power getting to the hut and so logged a fault with the site owner, locked up and moved over to the observation lookout to set up for the activation. I was now running almost an hour ahead of the planned time. As it was extremely windy I decided not to erect the squid pole but instead climbed part way up the look out tower and suspended the centre of the dipole off the side of the ladder and secured the ends to a couple of well placed trees. Once the antenna was in place and the coax connected to the FT-817 I attempted to put out a spot. I usually use Droid Spot and sometimes it works and sometimes it doesn’t and I have no idea why as today it didn’t work. Also tried RRT but it complained that not all fields were filled in…which they were so not sure what was going on. Ah well, when all else fails, just call :). It was no surprise to hear Pete VK3PF return my call and log my first contact. He went on to Spot me and then the contacts flowed and I finished up with around 15 . Thanks Pete. And a tally of 15 was not too bad considering it was a work day. Thanks to all the chasers and as the weather was not really conducive to hanging around as it was blowing an absolute gale plus we needed to be back in Wagga by lunchtime I didn’t want to spend a lot of time on air and hence didn’t go up to any of the higher bands, so sorry to the DX stations. Once packed up we headed off the hill and into Lockhart village for a quick coffee and then back on the road again, arriving back in Wagga just after 12. If you are ever in Lockhart, I can definitely recommend the little coffee shop beyond the Pub on the right hand side of the main street. They also do a mean scone! On reflection, it was a good activation for a week day as I can remember a time when one struggled during a week day activation to get the required 4 contacts so this part of the hobby has definitely grown. For me it was definitely a case of contacts Galore. This entry was posted in Uncategorized on November 26, 2015 by vk2yw. Earlier this year Ruth Sandow, who manages the Milparinka Heritage and Tourism Association contacted me to see if I was interested in going back to run the Milparinka Visitors Centre or VIC and again look after it for the usual fortnight. I had previously been there doing the volunteer thing a couple of times in the past with the last being 2 years ago. After discussing with my Xyl Lindy and our friends Jean & Neil who came up and visited us there in 2013 we decided to again go up. This time round, Neil and I would go for the first week by ourselves and the girls would join us in the second week. 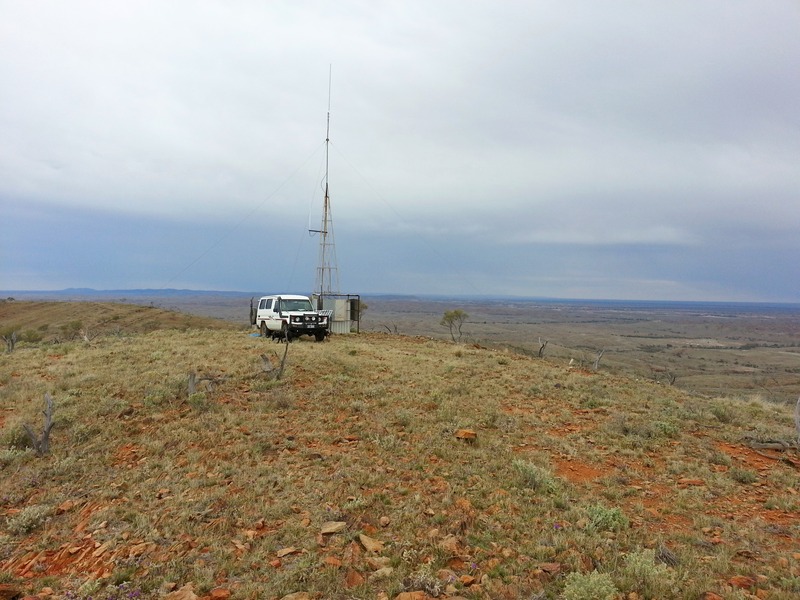 We decided also to make a trip of it and get out and do some Station Stays, camping on a couple of the stations that offer either remote camping or camping in the shearer’s quarters of which there are plenty to choose from and of course a SOTA activation if it would fit in. 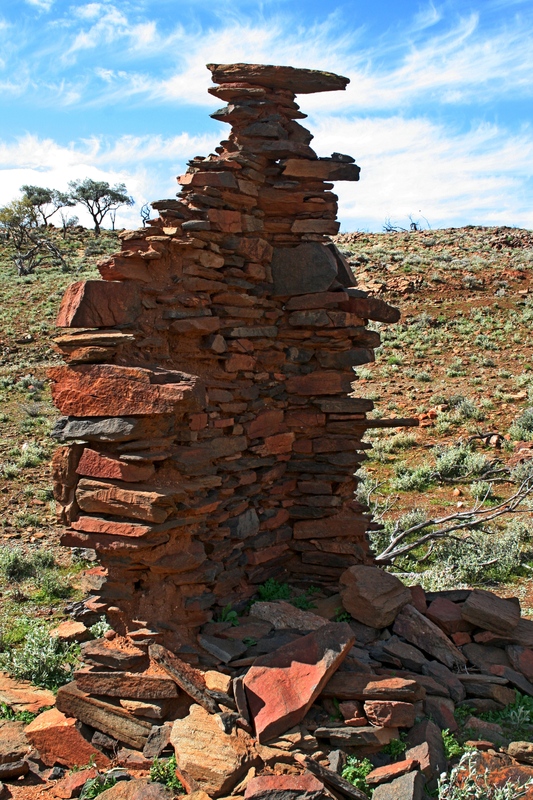 Now Milparinka is a ghost town and for those unaware of its whereabouts, it is situated about 4 hours north of Broken Hill and nowadays some 25 minutes south of Tibooburra up in NSW’s Corner Country. I speak in travel times out here because looking at a map you might be tempted to say well its just short of 300km so its say about 3 hours. That would be true if you could travel at 100kph but at the moment, you can’t. It’s also true that as each year passes more of the Silver City Highway is being covered in bitumen and in 2013 it used to take about 45 minutes to get from Milparinka to Tibooburra whereas now it only takes 25 minutes due there being more tar – anyway I think you get the picture. But what’s up there I hear you ask …its just a ghost town? I first went there in the early 1990’s and recall being blown away by the fact that there were these few great old stone buildings and a lot of other ruins. I didn’t know why they were there or what their story was. Well since then I do know their history and could bore you with it over about a 20 minute period but I won’t. Suffice to say it is just beautiful country and the people are just great as well. Do yourself a favour sometime and get out there and soak some of this up for yourself and perhaps you might run into me as I am sure I will be back out there again. 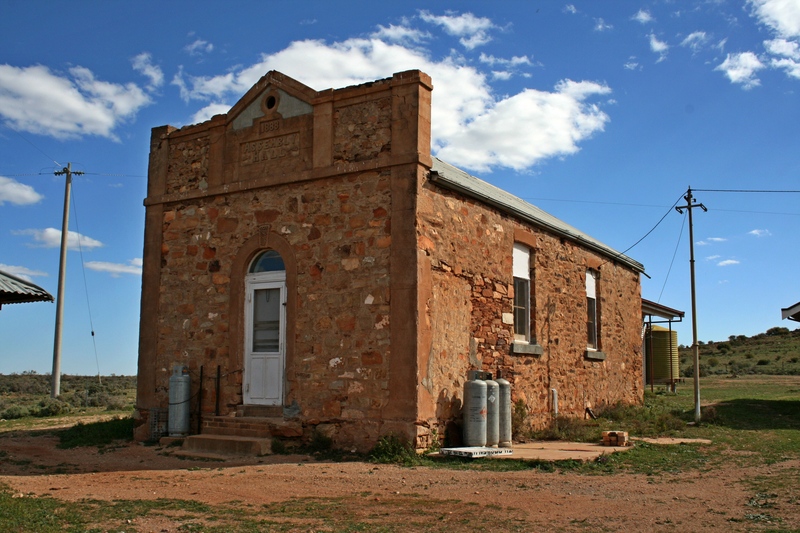 But I must also admit that if you look at my 2012, 2013 photos and my 2015 photos they are just more of the same – old buildings and sunsets and wonderful rich outback colors. But I digress – this blog is about my activation of North Barrier – not about my outback travel adventures although the two are entwined. During the planning for this trip I had noticed that there were just 15 summits only in the Upper Western region of NSW and none had been activated so this was an opportunity to be the first to activate both a summit and the first for the region. 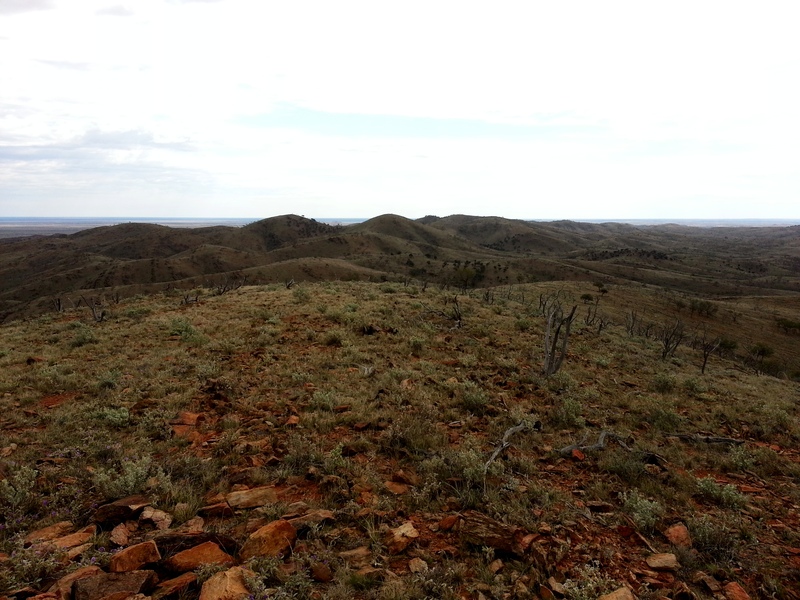 Each summit in this area is only worth 1 point so whilst not high in terms of the rest of the state they certainly make up in remoteness and ruggedness. I chose Mt Shannon to attempt first as it was within a day’s drive from Milparinka. It was also a Telstra comms site and I figured it would be easy to get permission to gain access. Having got the phone number of the station as well as the name of owners I made contact with them and explained what SOTA was all about and who I was and why I wanted to go there etc etc. The owner listened patiently while I explained my self and then promptly told me ‘No’ because he had an agreement with Telstra that he wouldn’t let tourists up near the site. Whilst I found that hard to believe I couldn’t argue and thanked him for his time. Back to the drawing board or in this case, the map. Looking a little further south I came across North Barrier. 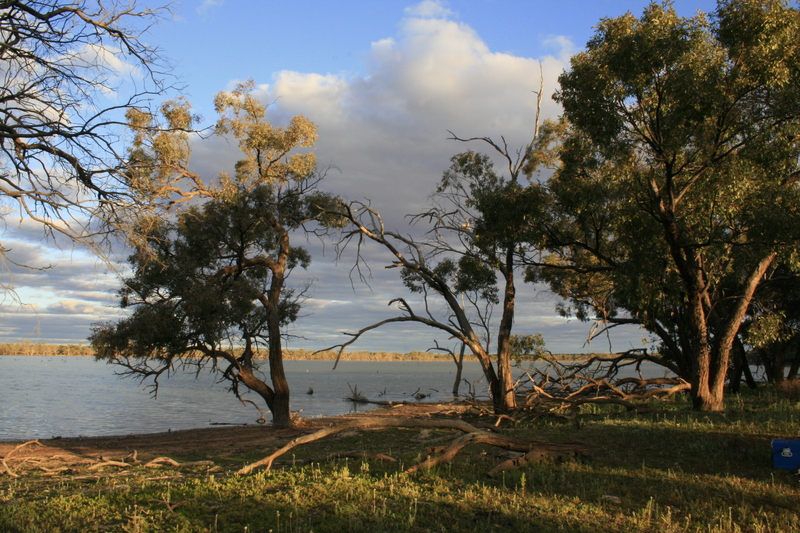 As the name suggests its on the Barrier ranges, so named by Sturt on his famed 1845 inland sea exploration trip. I had no idea on whose station this one might be on so after some emails with Ruth Sandow, she suggested I contact Nundooka Station and gave me the details. I rang and again explained my purpose and this time received an entirely different response. Much warmer and accommodating except this summit WASN’T on Nundooka Station. But as luck would have it, it was on his nephew’s property at Floods Creek Station and he provided me with their details. Again, I rang and went through my spiel – well the response couldn’t have been nicer and the next thing we were invited for morning tea. I promised to ring again closer to the date when the finer details were firmed up. 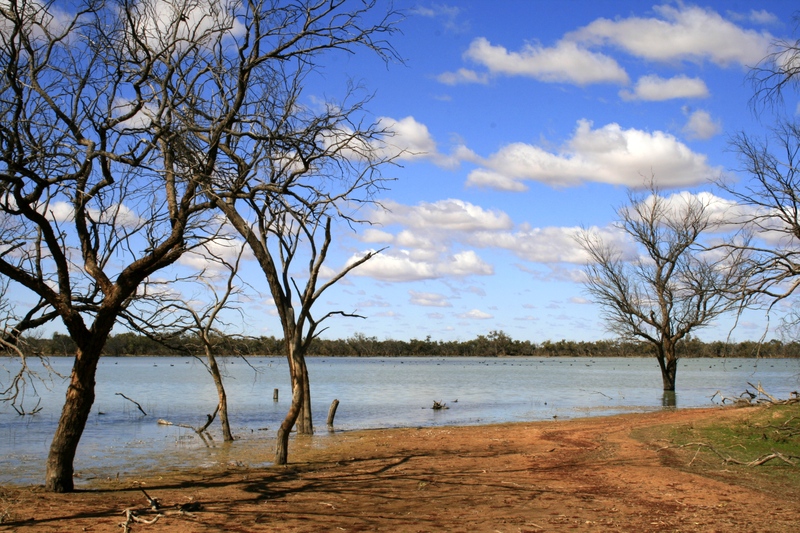 After the fortnight at Milparinka we packed up and headed down to Ruth’s station – Pimpara Lakes. This is a station stay well worth the visit particularly if the ephemeral lake is full which fortunately for us it was. We spent a delightful couple of days just doing very little. Walks, photography, a drive around the 110,000 acre station and sitting by the campfire…but that’s camping isn’t it? From here we headed off to Mt Gipps station which is about 40km north of Broken Hill and if you are looking for just a little starter taste of this country, this is a great place to start. Its just beautiful country. 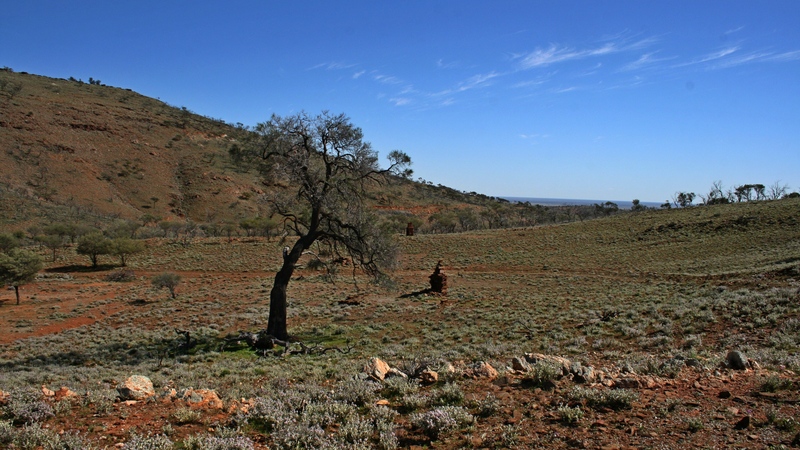 Charles Rasp pegged out the first Broken Hill mining claim here back in the late 1800s although today there isn’t any sign of that. 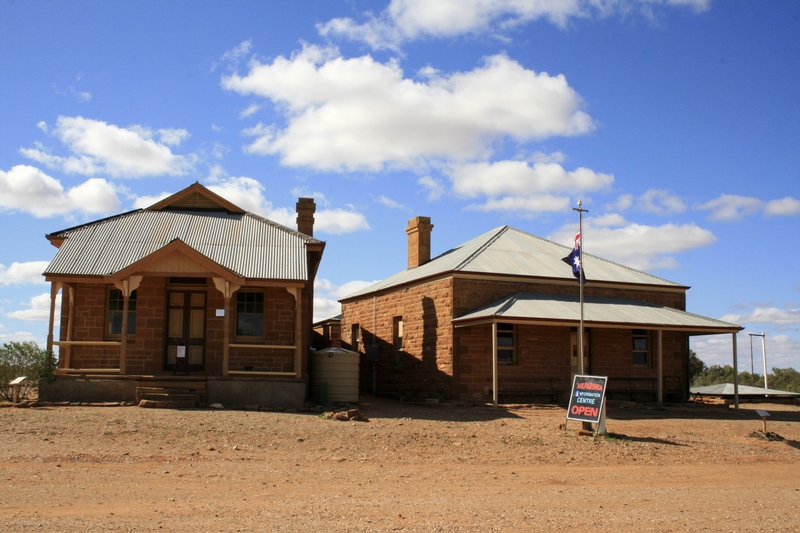 The result though was the town of Broken Hill and the subsequent mining. 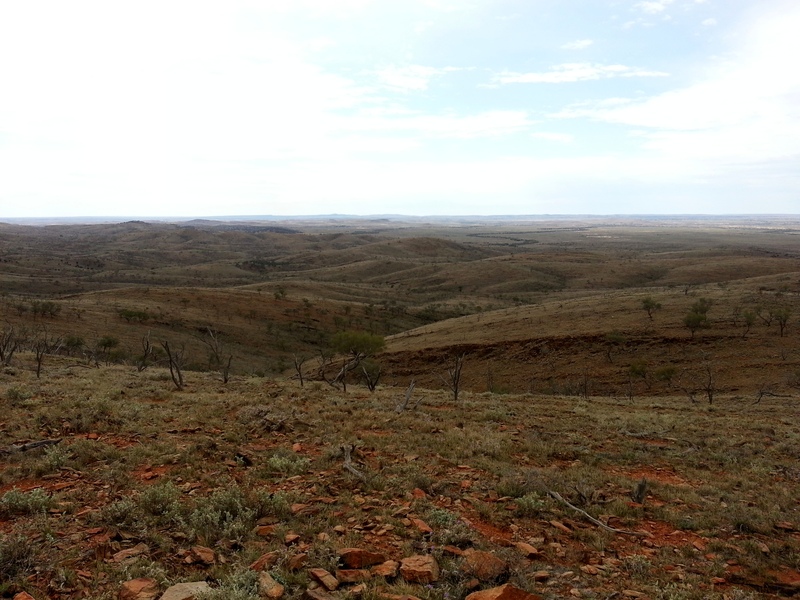 Its also interesting to note that Sturt wrote in his 1844 journal that the Barrier Range was highly mineralized. Due to our now close proximity we took the opportunity to visit Broken Hill for re-stocking purposes. Whilst on Mt Gipps I rang Floods Creek to update them on my plans. As we were traveling with our dogs they suggested we contact Mt Westwood Station to inquire about camping as they had 1080 dog baits out. This I did and again was met with a warm response. Cal and his wife Sonya suggested we camp on a freshwater lake close by. He told me the directions over the phone and even said there was a gas BBQ there we could use if we provided our own bottle. The whole thing sounded really good and before long we were on the road again heading up to find the lake, make camp and to be ready for a run down through Mt Westwood to Floods Creek and the climb up North Barrier the following day. Unfortunately, I missed the reference in my phone conversation with Cal that the lake was NOT on Mt Westwood. This was a very important point as it turned out as we spent most of Friday driving up and down the property looking for some sign of this so called lake and in the end camped against a dam wall at the beginning of the station. Camping on or near dams is never a good thing to do as stock can become spooked and stay away from the water so I knew it was only a temporary stop. Also we knew there was a storm brewing and the wind was getting stronger and stronger. Had Cal or Sonya been home that day I am sure they would have put us back on the right track and as it turned out he returned just on sundown and called into our camp and did put us right for the following day. We spent a pleasant night despite the wind and a tiny bit of a shower but I was glad to be off in the morning this time without van and trailer. After opening and closing untold gates we eventually arrived mid morning at Floods Creek station and were invited in for coffee while waiting for Luke (owner) to return for smoko – he was out with a crew mustering wild goats on trail bikes and with the assistance of an ultra-light and we monitored their progress on CB as we drove down. Wild goats are every where in outback NSW and South Australia. They are in plague proportions and most stations round them up and when they have enough they are sold to abattoirs down south usually Wangaratta where they sell sometimes better than sheep and given they didn’t cost anything to start with there is only the cost of rounding them up and transport south to worry about. On any trip along the Sturt from Hay onward you see thousands and I am not exaggerating. They are very wily and are not often road kill. When I think of goats I think white but they are in a myriad of greys, browns, blacks,mixtures and only rarely do you see pure white. After a cuppa Luke offered to lead me up the hill riding his trail bike despite me having a map with a track to the top on it on Ozi Explorer on my car GPS. And boy, am I glad he did. Track? Most of the time there was no track. And despite it only being about 8km from the homestead it still took me about 1 hour and 20 minutes in low range 1st gear in the Troopy. A quick squiz of the map I had looked a little like the veins in your body …lots of blue lines indicating small dry water courses criss crossing the area and each one whilst small was always accompanied by a sharp drop in and just as sharp an exit…and on top of that it was extremely stony with lots of the Gidgee just waiting to attack an unsuspecting tire. 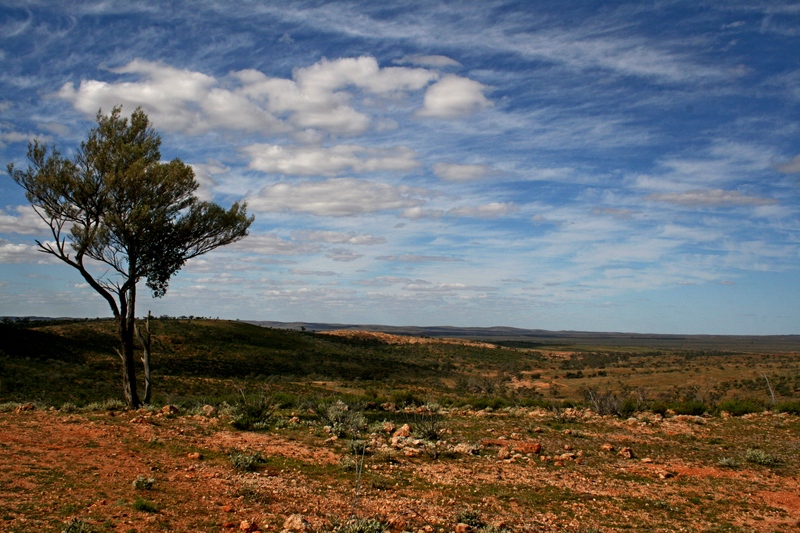 Gidgee is a common variety of Acacia nthat is native to the arid and semi arid areas of Australia. It is slow growing, hard as nails but makes really good firewood. Dead Gidgee is deadly on tires. Neil followed me in his Mazda BT until he succumbed to the effects of a bit of Gidgee trashing his tire. He insisted I go on and he would change the tire and return to the station. Luke promised he would return and check on him once he had me at the top. 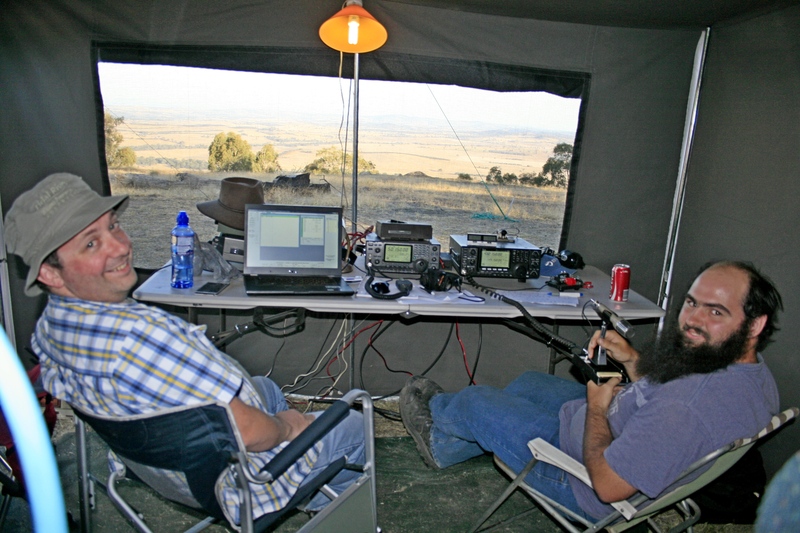 As I was approaching the summit top I managed to work the Wagga boys at the Club rooms on 40 metres along with Wayne VK2PDW operating from his home. 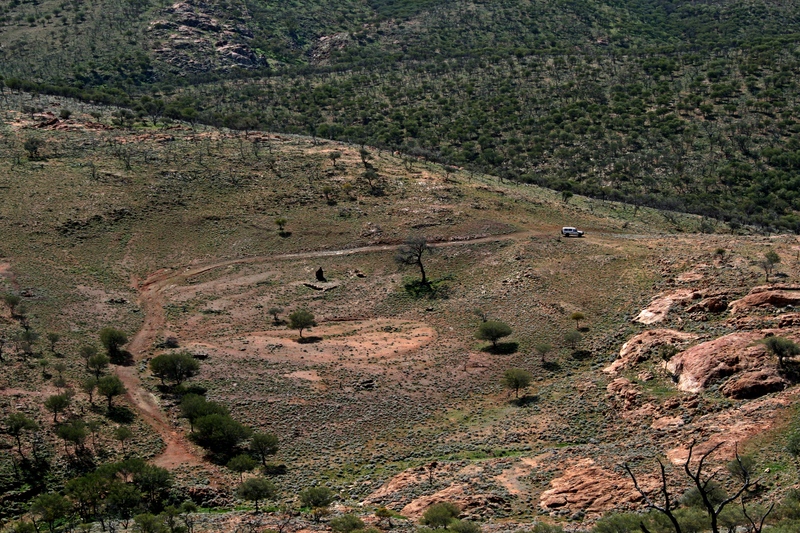 Now, as you all know, its an art to speak on the mic whilst driving but add to that whilst trying to keep the 4WD on the so-called track and dodging large rocks and GIdgee, its an even greater challenge but I did manage both. I am not sure that my Xyl Lindy and the two dogs in the back were very impressed by any of this but we did make it up safely. Now I am not saying I couldn’t have found my way to the top without help – well actually in hindsight, without his help I don’t think I would have but I did assure him I could follow my GPS track back down and with that he headed off leaving me to set up. This was one hill I wasn’t going to walk back down 25m and back up again because I was now conscious of the time and what had to be done in the rest of the day, there were storms all around us plus I was concerned for Neil and his Xyl Jean at the bottom. Without wasting more time I got the gear out and as the only vertical thing on the summit aside from a CB repeater installation and tower was what was left of the old trig point. I lashed my squid-pole to that and quickly got the gear out. Short of a diamond tipped hammer drill there would have been no way of getting a peg into the ground to support the pole. Something I usually do. Oh, and as promised I did run a cursory eye over the CB repeater for Luke but everything looked fine. Interesting that the so called hut only had three sides. You may recall I wanted to try the Pixie out again on this summit and that was the first bit of gear to get out only to discover I had left the all important power cord on my bench at home. 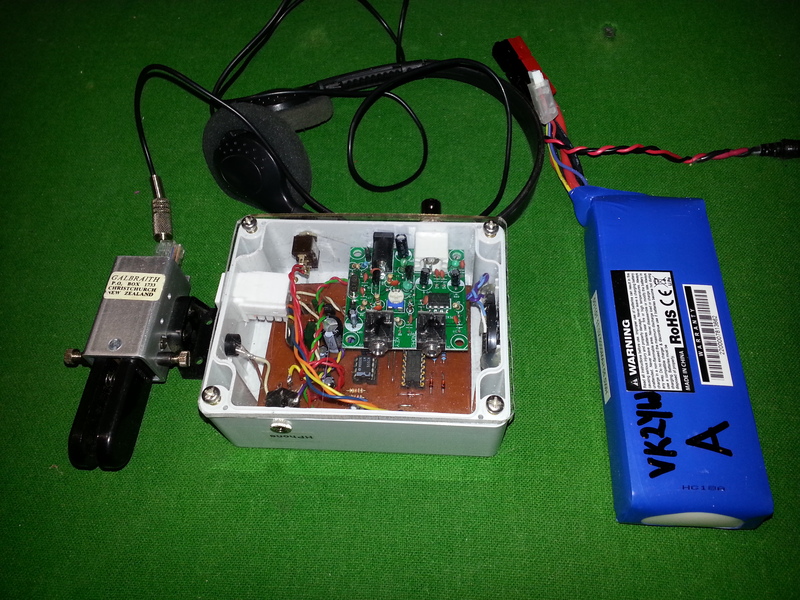 Oh well I thought – lets go with CW anyway on the FT-817 and started to set that up. I also fired off a spot as there is 3G coverage up here but despite Droid Spot saying it had successfully sent there was nothing on Sotawatch. Again due to the time and other pressures I switched to phone and put out a call on 7090 and was quickly rewarded with VK2LAD in Albury. I asked could he spot me and before I finished the contact I noticed Amanda had spotted me – well done and thanks Amanda VK3FQSO. I know there were some other summits out there being activated during the morning but I must have missed them as I only managed contacts with chasers and nothing from other summits. Something unusual for me was the number of VK4’s on 40m. I don’t usually work them from down south. When I reached the 14th contact the rush seemed to have dried up and the likelihood of me getting wet was looming large so it was a quick pack up and back to the Troopy and the descent. Despite zooming in on my track to the 1000% mark on my car GPS I still lost the track numerous times on the way back. Time and time again we stopped and my Xyl Lindy would get out to look for the track. I think it was more hair raising on the way back. Usually the descent is done quicker than the ascent – but not in this case. It took as long to get up as it did to get back. But back we did get and safely and with all tires intact. We dropped into the station to thank them and bid them our farewells and set off back to Mt Westwood station and our vans. I also called in on Cal & Sonya to also say farewell. Then off to find that elusive lake. Once we had left the station and back out on the main road it soon appeared off to our left – just exactly where Cal said it would be. Funny that. It turned out a lovely afternoon following the squally conditions earlier on and combined with the beautiful location we were soon set up and enjoying the tranquility …or was that ‘ahh the serenity’. Anyway, this is where we remained for the next 7 days as the rain and storms over the next 24 hours put paid to traveling anywhere. And even when we could travel we didn’t because the rest of the trip as was originally planned was never going to happen and this was such a delightful spot. Other than one other vehicle traveling down the road about mid week we really didn’t see any one else. And that’s camping – just how I like it. Below are some of the other photos from the top of the summit. This entry was posted in Uncategorized on September 10, 2015 by vk2yw. If one went for points in Summits on the Air then Mt Flakeney would be low on my list as its only worth two. But that’s the beauty of this scheme; its more about the journey rather than the destination. 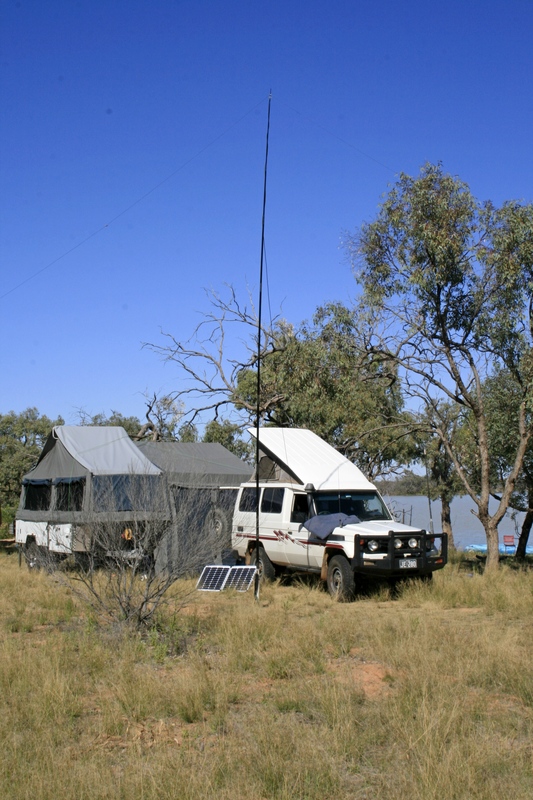 Now, not only has the site housed our VHF repeater, it has also been home to Wagga Amateur Radio Club’s John Moyle Memorial Field Day contest expeditions. This contest aims to encourage portable operation such that it provides training in providing emergency communications over a sustained period of time. I don’t think anyone these days looks upon it as training – its just a fun weekend held on or about the 3rd weekend in March but nonetheless it does serve the initial aim, just ask the guys on 7Mhz who, across 14 hours made 332 contacts – about 1 contact every 3 minutes! 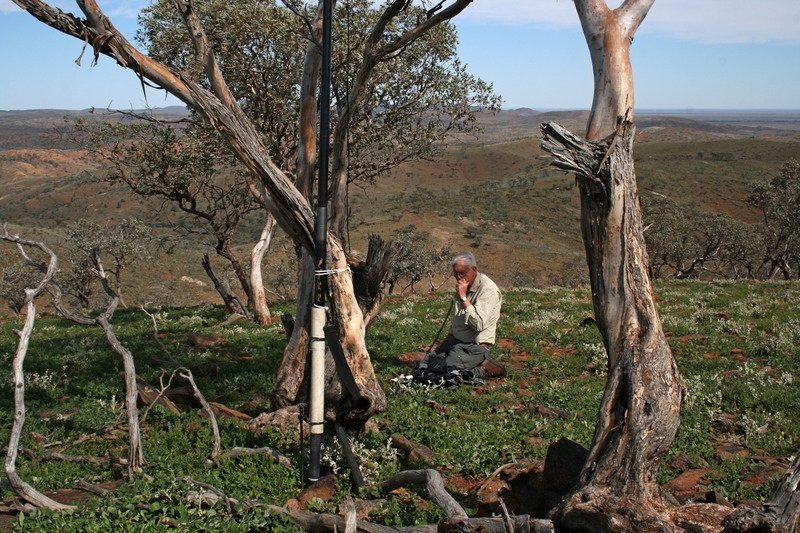 Our club has been in search of the ‘perfect’ field day site for many years and indeed we have tried lots of other sites including Mt Galore, Mt Tummorrama and Mt Granite but whilst a couple of those are actually higher, Mt Flakeney seems to win each time due to its close proximity to Wagga and the fact that it has quite a lot of room for camping and erecting antennas. We even go to the trouble now of mowing the area to enhance the camping experience. Our widescreen TV view looking east across the VHF/UHF operating table. The view towards the Hume highway at the Tumbarumba Rd intersection is quite spectacular with the lights of Wagga Wagga clearly visible from western side. The night sky is something else as well and I vividly recall having my best view of Halley’s Comet from here in March 1986. Fortunately, the hill made it onto the SOTA Database coming in at 1759 ft ASL and this past weekend is now the second time I have activated it. 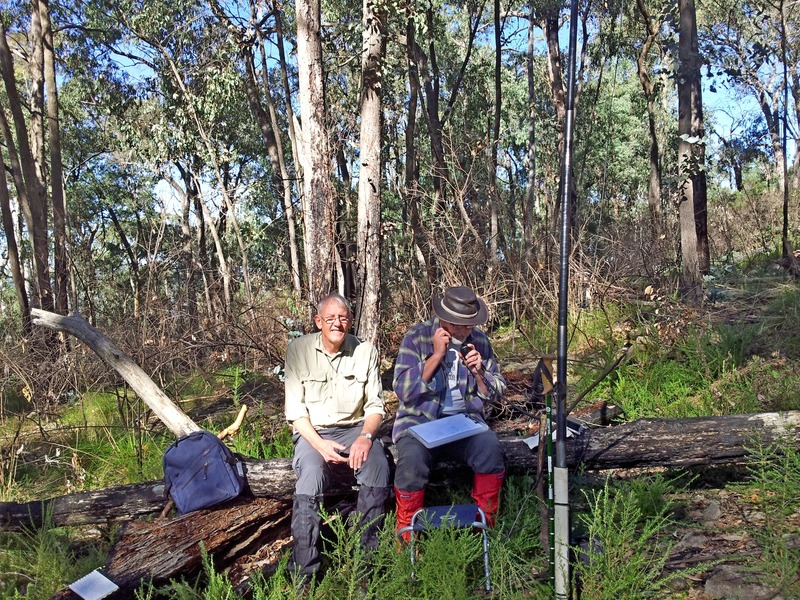 This time I activated it in conjunction with the radio club’s John Moyle Memorial Field Day expedition. We arrived around lunchtime on Friday 20th and set up camp. 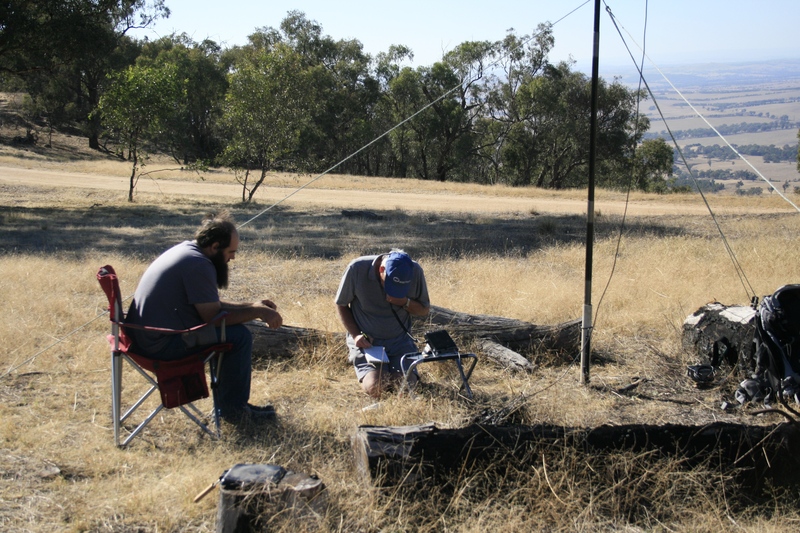 The VHF/UHF arrays were also erected that afternoon, which left Saturday morning for more leisurely activities including of course a SOTA activation. I dragged out my back pack and along with Matt VK2FAJE who was rather curious as to how this might work set off to walk out of the activation zone and back in again. What the hell is this SOTA thing he’s doing? Just to prove it I fired up the E-trex 10 to confirm it and then climbed back up to our campsite and proceeded to set up the squid pole and linked dipole. Since my last activation on Mt Granite, I had repaired the squid pole and was anxious to see how it operated but I hadn’t noticed that I had also strained the mounting arrangement I use for the squid pole which soon let me down. Hurriedly, I set about guying it and despite being early for the alerted activation time my first call was rewarded with chasers and I soon had well more than the required four contacts for the hill’s 2 points. In the process of setting up I discovered that the noise level coming from our field day site’s generator was well in excess of S9 on my poor little FT-817 radio. The antenna was running parallel with the generator so a hasty re-alignment so it was at right angles managed to reduce it down to around S7. My station simply confirmed what I thought was the problem after we set up on the Friday – that is that the generator was generating a large amount of hash covering all bands from 1.8Mhz right up to 50Mhz, something we needed to deal with if we were to have a successful weekend. Switching off the generator brought the noise back to zero (which it should have been and indeed was in 2013 when we last used that generator). That fixed my problem and I was able to then complete the activation. I think Matt’s curiosity was satisfied and a couple of the other members wandered across to watch and get some photos for me. Not being totally satisfied with just activating on phone (SSB), I decided then to also activate it by Morse code (CW). 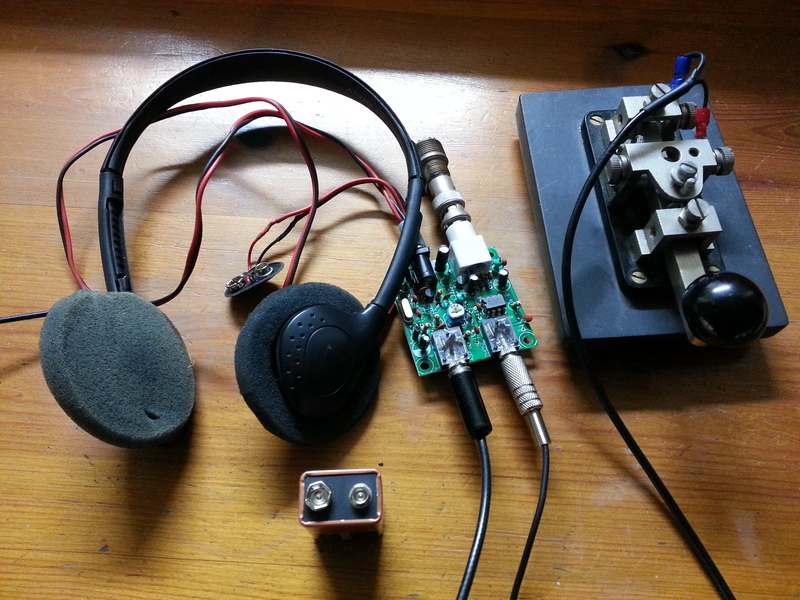 My operating position for Morse Code. This was a first for me. I had chased plenty of other CW activators but had never been quite game to do the same where sending by sitting down on the ground with the key plugged into the little radio and using my little stool for a rest presents it’s own set of challenges. Despite the uncomfortableness of the arrangement I put out a ‘CQ SOTA” and was immediately rewarded with a response. I completed the contact and moments later had more callers, giving me my 4 required contacts. I was elated to say the least and it was a very satisfying experience, so much so, I am sure it will not be my last activation using this very ancient mode of communications. With the activation out of the road and the gear stowed away for another time, we got down to the serious stuff of contesting. The result? well, we wont know for some weeks but we managed some 531 contacts across 9 bands with a total point score of 3322 points. Just over 1000 more points than our 2013 score! We might try for 10 bands next year. And if you were wondering about the generator, we swapped it out for two small Honda EU units which allowed us to proceed with little or no noise. As a matter of interest, these 2Kva generators are just able to allow the use of a microwave oven and an Aldi coffee machine – just not both at the same time. 🙂 I think the term for this sort of camping is ‘glamping’. As I sit here writing this I am wondering just where my next activation might be. Pilot Reef Mountain is on the list as I had hoped to do it along with Mt Granite last time but due to wet weather, it was postponed. There is also Womargama National Park beckoning me back with quite a few summits of varying difficulty awaiting my attention. Decisions, Decisions. This entry was posted in Uncategorized on March 28, 2015 by vk2yw.